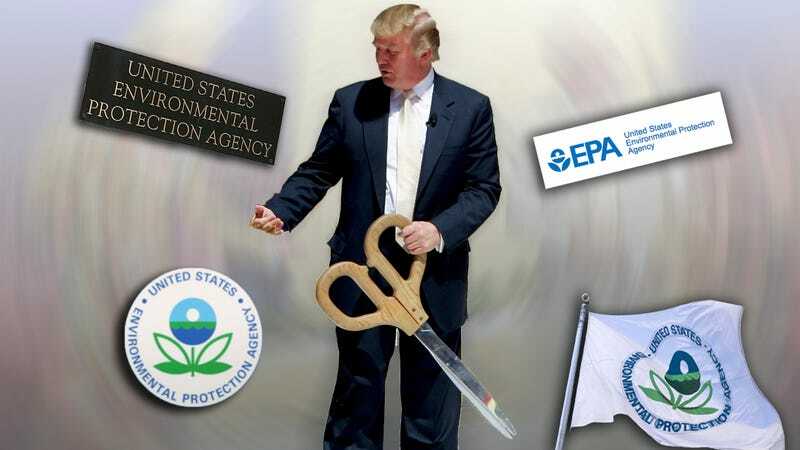 On Monday, Trump will announce major cuts to the Environmental Protection Agency as he starts to build the budget for the next fiscal year, according to reports from Axios and the New York Times. A top official reportedly told Axios we can expect “transformational” cuts to the Environmental Protection Agency, especially when it comes to climate change programs. This, of course, comes as no surprise. Trump appointed Scott Pruitt, who once described himself as the “leading advocate against the EPA’s activist agenda,” to head the agency. Pruitt has partnered with fossil fuel companies to sue the EPA 14 times, and will likely dismantle many Obama-era clean energy regulations. Four senior White House officials told the Times that Trump’s budget will include, unsurprisingly, big additions to Defense Department spending. There will reportedly be no cuts to Social Security and Medicare, which suggests that Bernie Sanders going to the Senate floor and holding up a gigantic poster of a Trump tweet promising not to cut Medicaid or Social Security might have ultimately been an effective tactic.